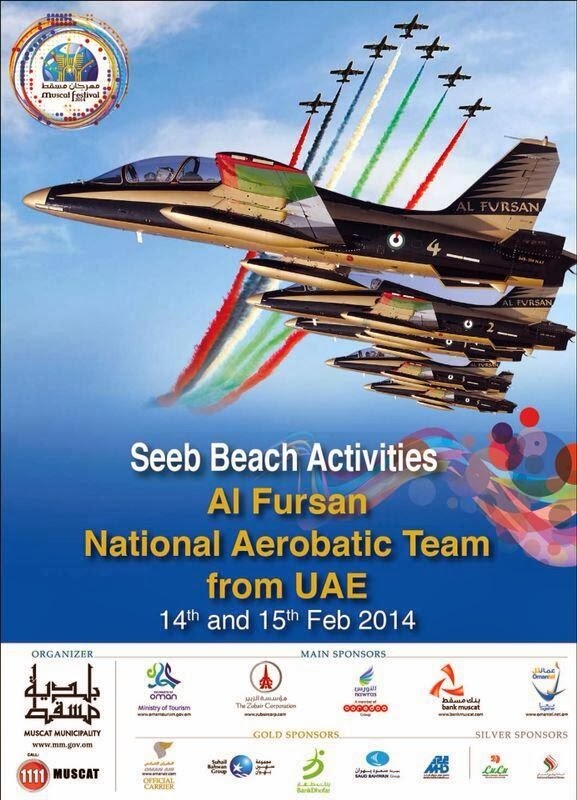 The Al Fursan (The Knights) which is the UAE airforce aerobatic team (much like the Red Arrows) are coming to give 2 shows over the Seeb beach this weekend on the 14th and 15th of February as part of the Muscat Festival activities. Details are thin at the moment but it is understood that the aerial shows will commence at either 3pm or 4pm on each day. Feel free to comment here if you have any more information on this. Easy to use and always ready for keep your water hot alpine hot tubs have these qualities.